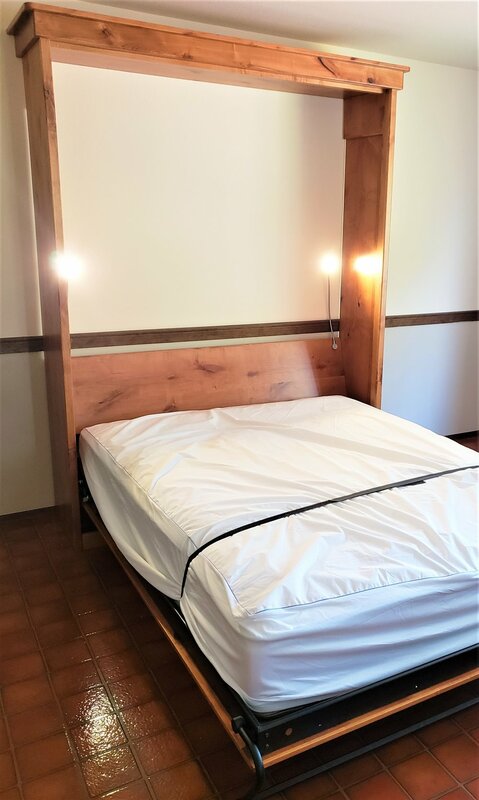 Are you looking for something more comfortable and easier to use than an air mattress for your guests? 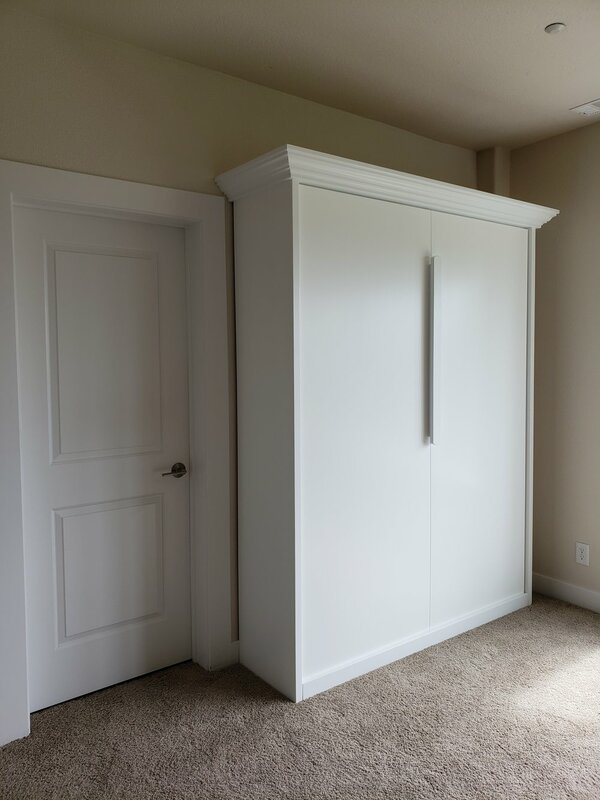 Do you need a room for more than just a bedroom? 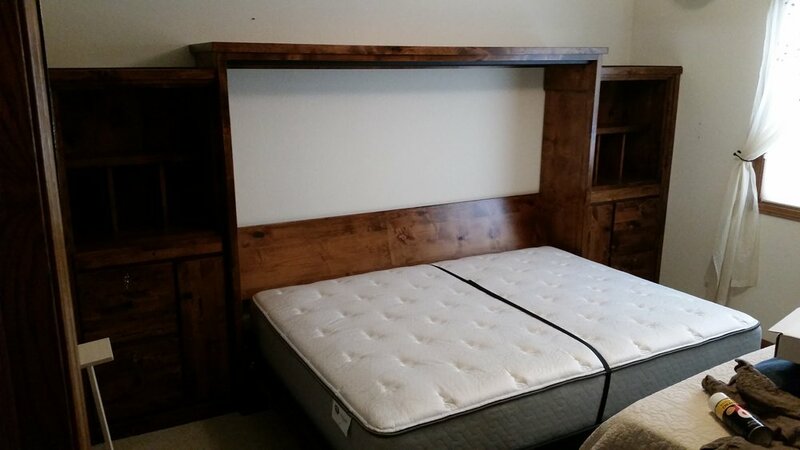 Would you like a temporary bed that will add to the beauty of your room while not in use? 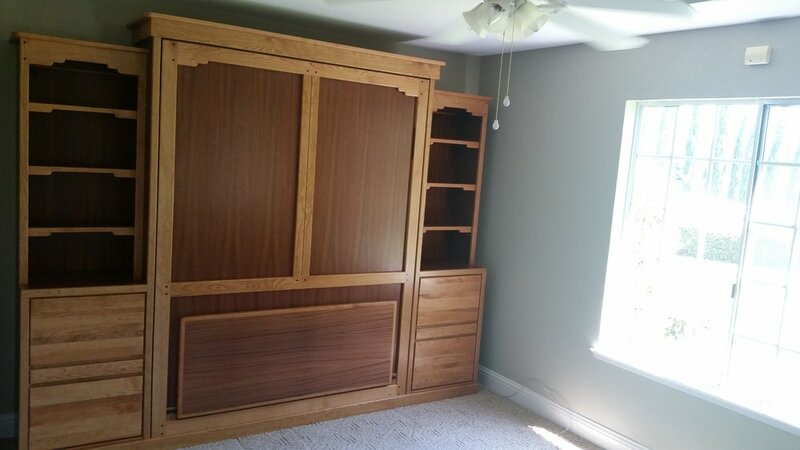 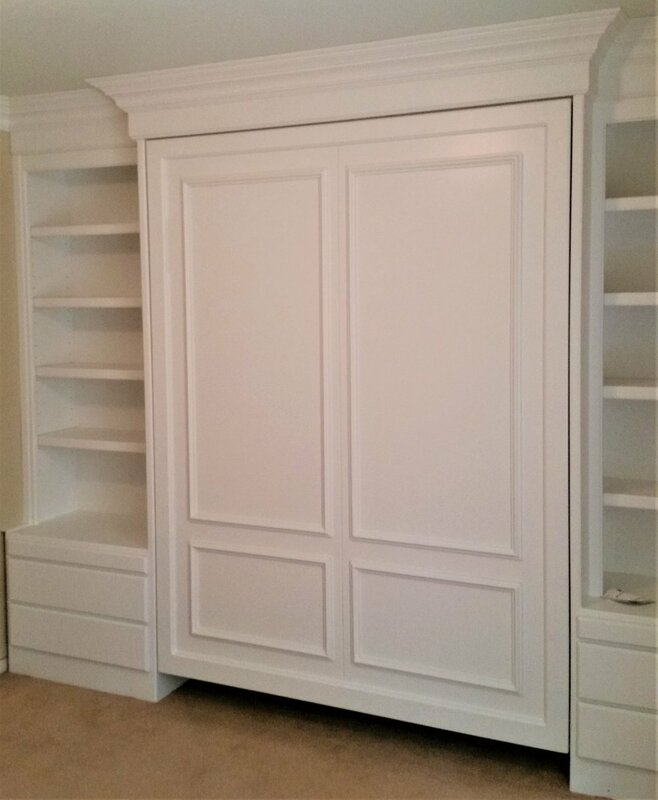 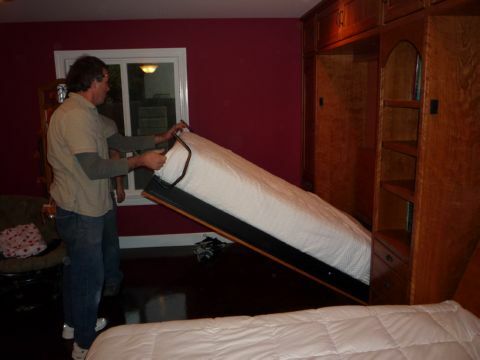 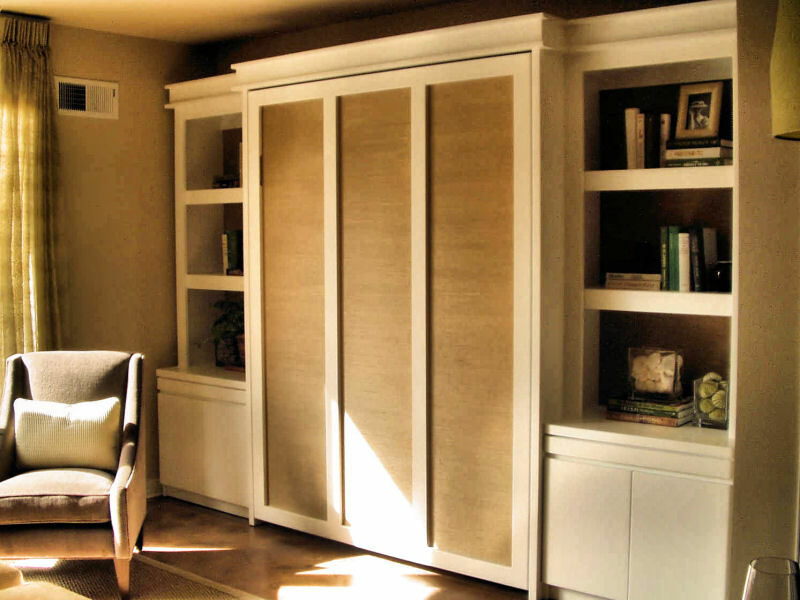 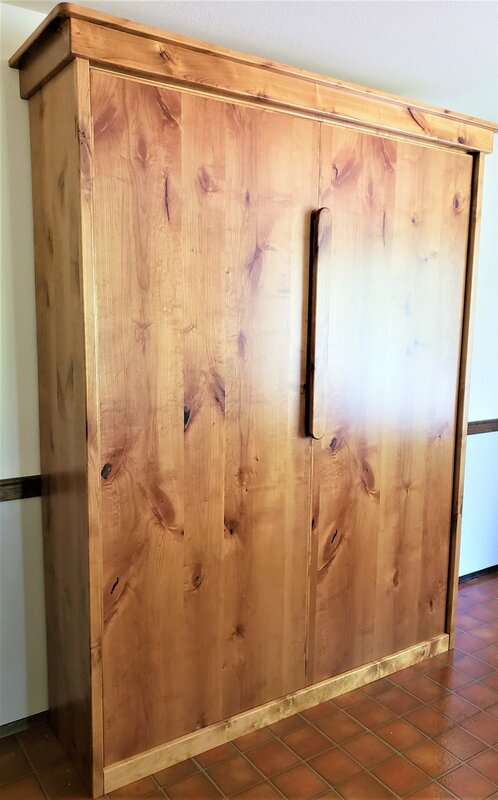 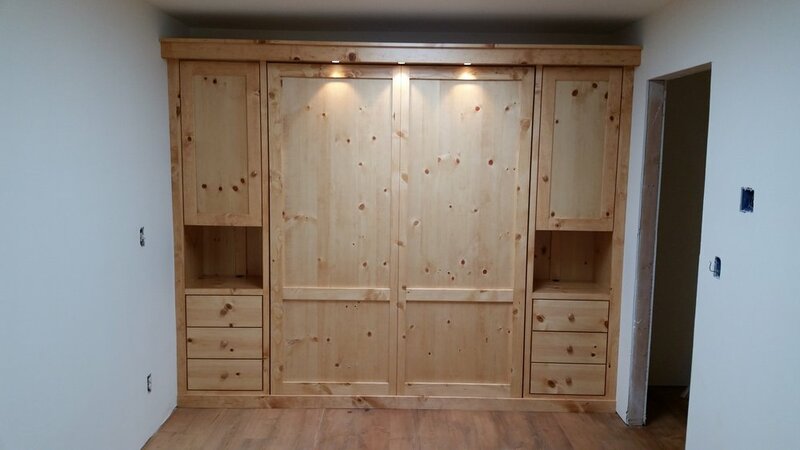 A wallbed, also known as a murphy bed from its earlier days, is one of the easiest and most affordable ways to take care of the need for extra sleeping space for guests or yourself, without the cost of an addition to your home. 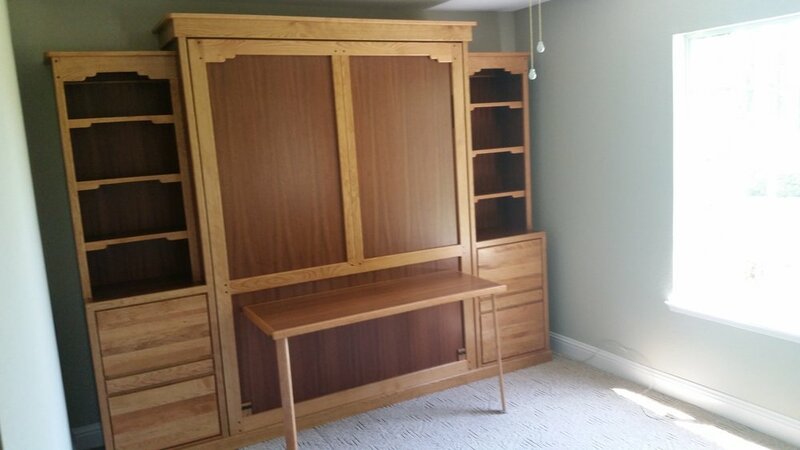 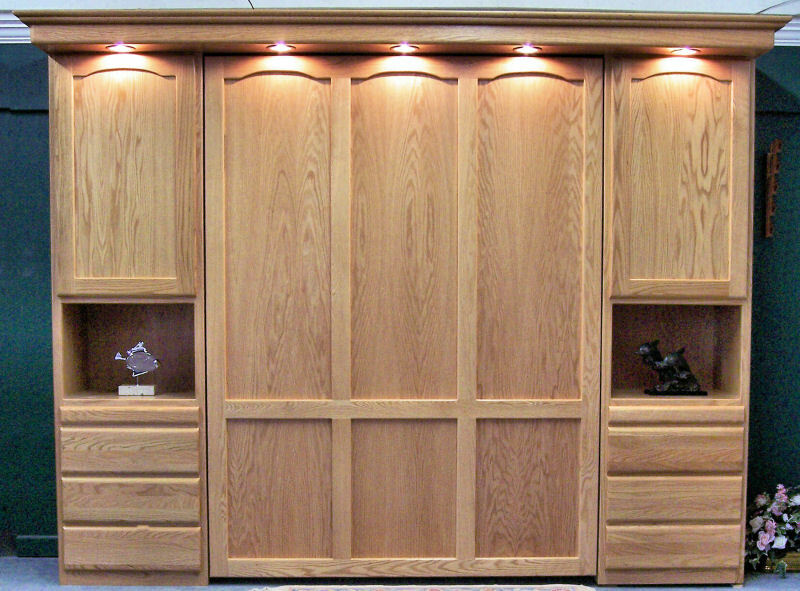 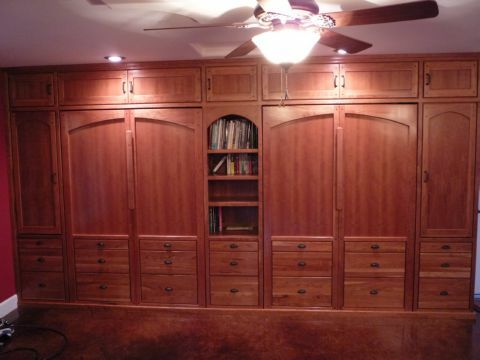 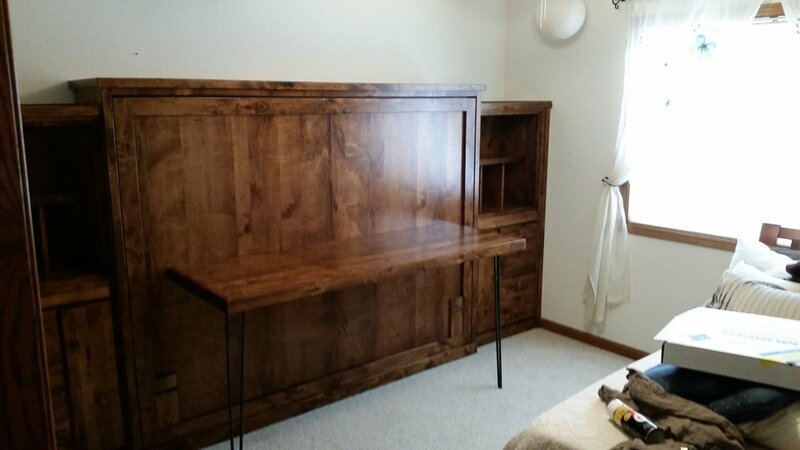 You will not find particle board or stapled on wood pieces in our wallbeds, we strive to craft the highest quality solid wood furniture. 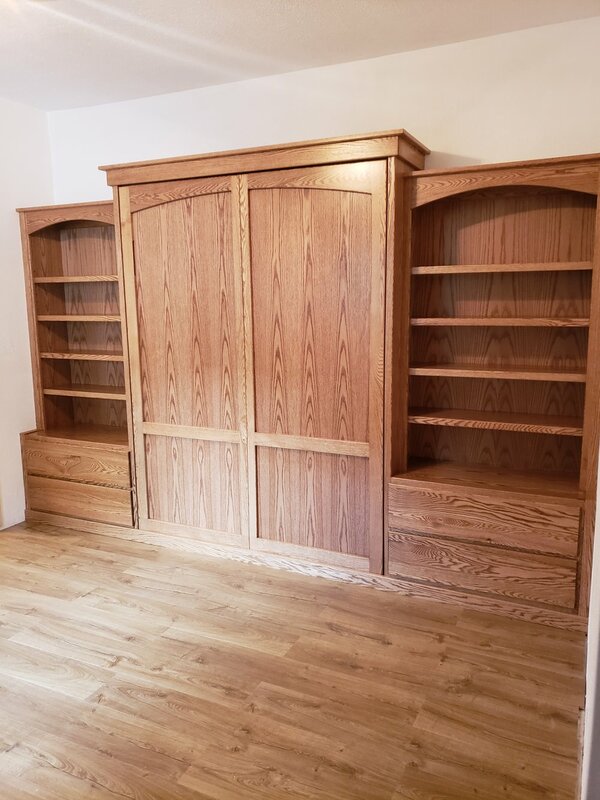 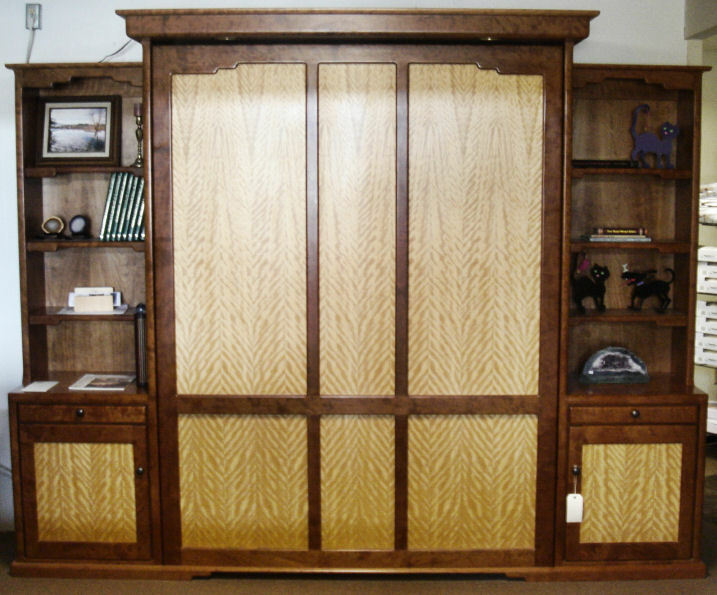 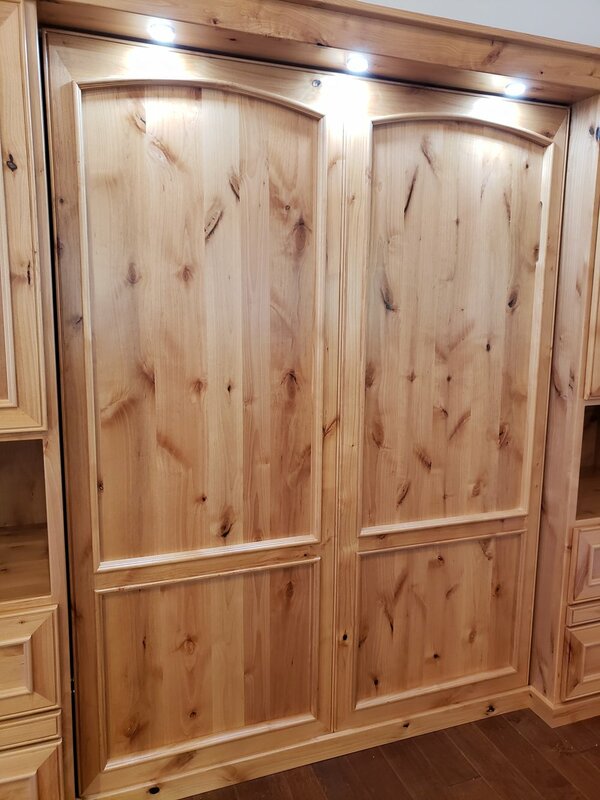 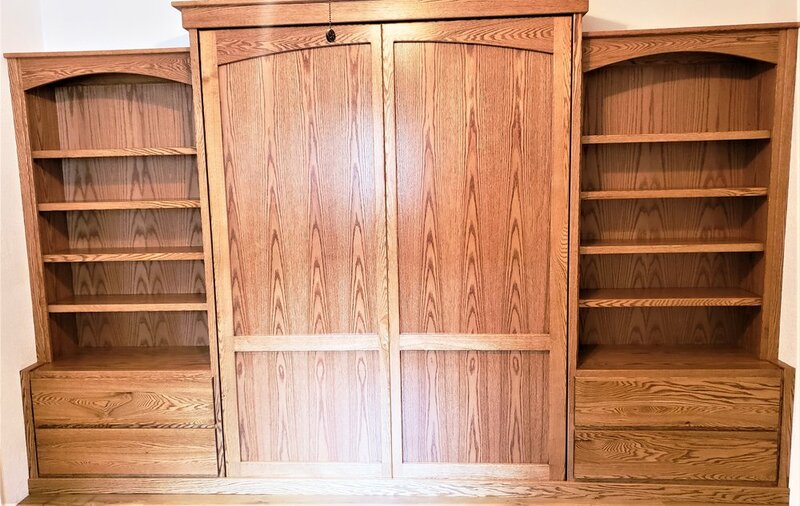 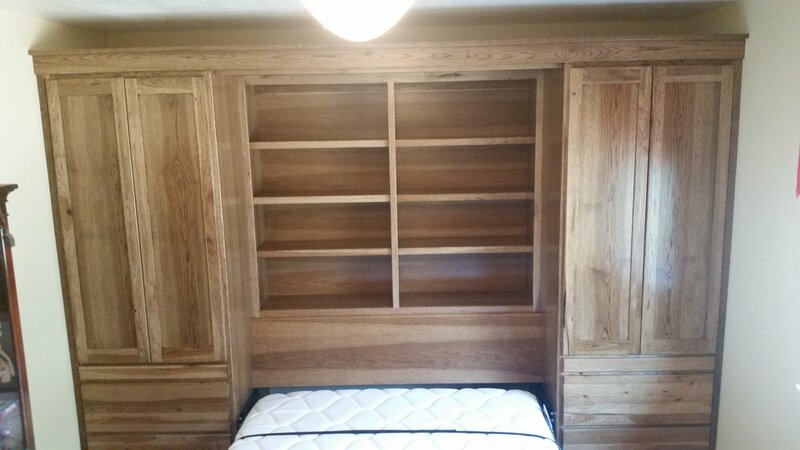 A piece of furniture you buy from us is expected to last a lifetime and that is why we place a lifetime guarantee on everything we make in our wood shop.